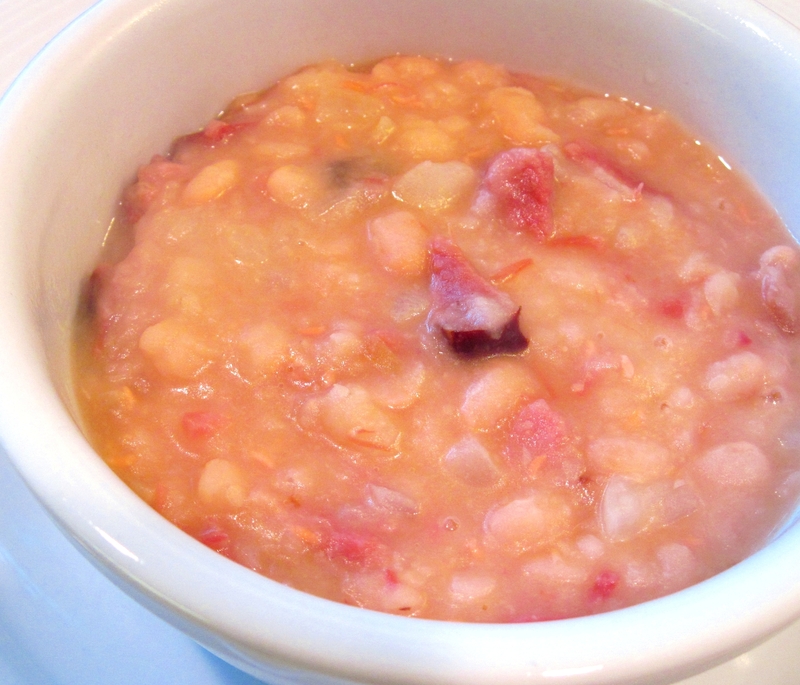 Although Senate Bean Soup may be the simplest soup I’ve ever made, it also is one of the best soups I’ve ever made! 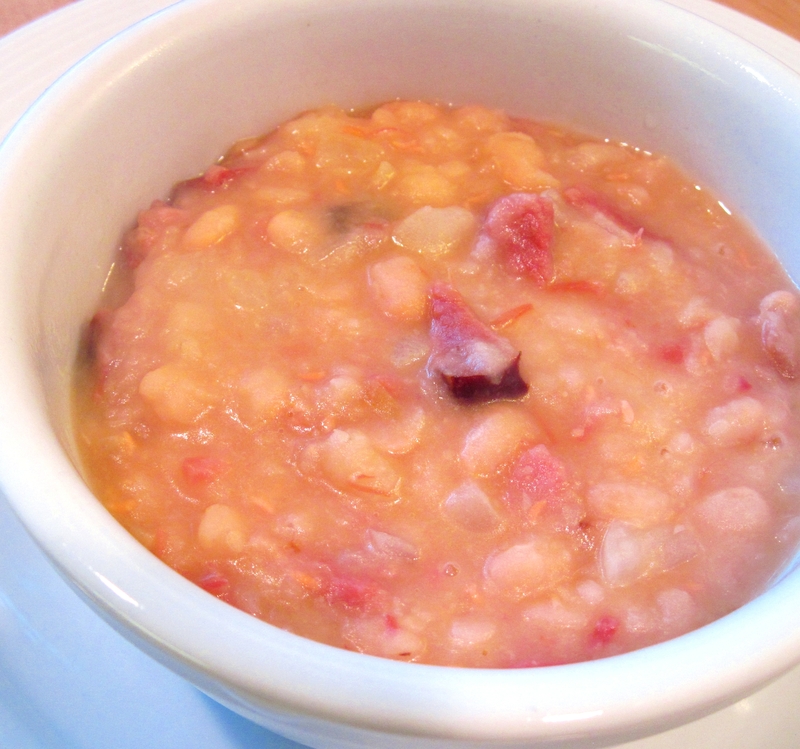 I guess there’s a reason that Senate Bean Soup has been on the menu at the U.S. Senate’s restaurant for decades. Who knew it was so easy to make? The original recipe can be found on the Senate’s website. It serves 8. I wanted to try it, but I wanted to serve 2 so I adapted it to make 2 generous servings. In the end, my version has proportionately more ham, onion, and butter. It was fantastic! 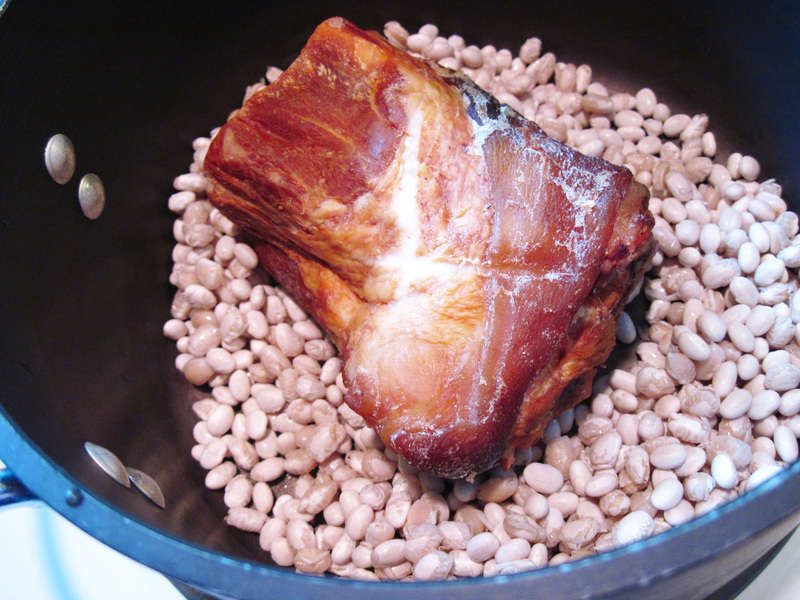 The combination of the creamy navy beans and the smoked ham is a match made in heaven. Sometimes the simplest is the best! If you’re cooking for 1 or 2 and want a warm bowl of comforting soup, give this Senate Bean Soup for Two a try. I think you’ll like it! This makes a very thick soup, which we liked. If you like a thinner soup, simply add a bit of hot water before seasoning it. Then season to taste with salt and pepper. 1. 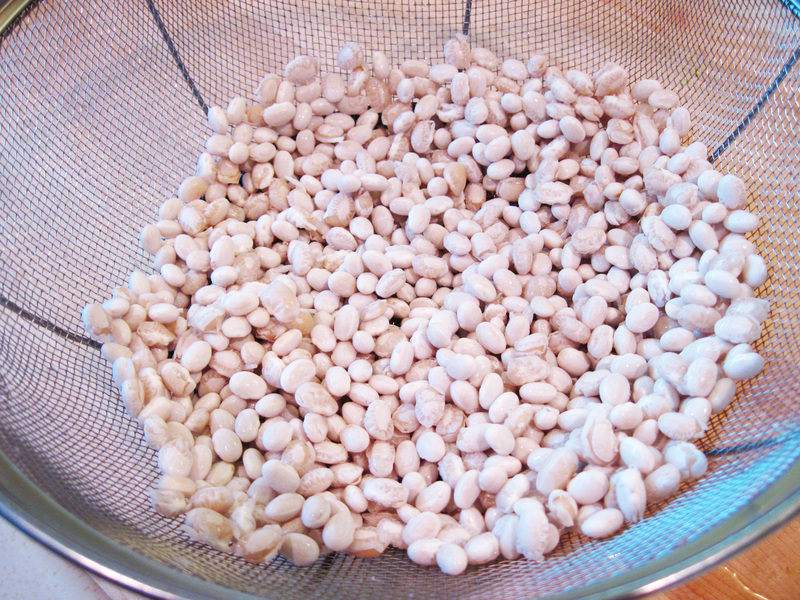 Wash the beans in a colander and run hot water over them for a minute or two. 3. Pour the hot water into the pot. Bring to a boil. Cover and reduce heat to a simmer. Simmer for 3 hours, turning the ham hock a time or two and stirring occasionally. 4. Remove the ham hock and let it cool a bit. 5. Cut up the meat from the ham hock and stir it into the soup. 6. Cook the onion in the butter until it is starting to brown and add it to the soup.